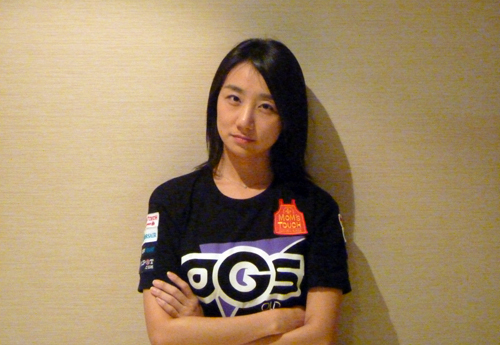 Also known as maRie, she was the second best female Starcraft progamer behind ToSsGirL, playing for the KOR/Sparkyz pro team. After retiring from 'competitive' play, she remained in the scene, hosting various shows on OGN. She will attempt to qualify for Code A next season. Wow, she's like 31 years old too. Should be interesting. This is an interesting series of pickups for all these teams. I wonder which will be the first to make it into Code A. 3d girl in less than a week.. Amazing! If I was a girl I'd want to be on the same team as NaDa too. Ok EG now its your turn, ToSsGirL is ready and waiting. Seems like there will be several female contenders for the code A spots, glad to see more women jumping into competitive gaming! lol, well if she's picked up by oGs then she must be good! I hate how everyone talks about age, as if age is some kind of universal law of player skill. A virtuous act is performed habitually, and not once from incentive alone. Next update: MarineKing's sister, MarineQueenPrime has joined the Prime team. Maybe Flo can pick up interest from any teams? She's one of the best females and got second at Divina.